Competitive advantage in banking comes from effective use of technology. “The Handbook of Banking Technology” provides a blueprint for the future of banking, with deep insight into the technologies at the heart of the industry. The rapid evolution of IT brings continual change and demand for investment yet keeping pace with these changes has become an essential part of doing business. This book describes how banks can harness the power of current and upcoming technology to add business value and gain a competitive advantage; you’ll learn how banks are using technology to drive business today, and which emerging trends are likely to drive the evolution of banking over the next decade. Regulation is playing an ever increasing role in banking and the impact of regulatory change on technology and the management of it are discussed while mandatory changes put pressure on many of our high street banking brands, their ability to adapt and utilise technology will have a fundamental impact on their success in the rapidly changing marketplace. Technology costs can amount to 15% or more of operational costs and bank leaders need to be able to make informed decisions about technology investments in light of the potential benefits. Technological change is driven by mass adoption of new channels, innovation from new entrants, and by banks themselves as a means of increasing revenue and reducing costs. 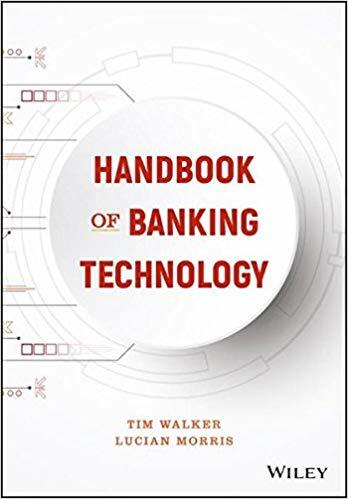 “The Handbook of Banking Technology” offers a comprehensive look at the role of technology in banking, and the impact it will have in the coming years.